Precious metals futures ended lower in quieter trading Wednesday. Silver and gold marked a second straight day of declines but they remain higher on the week. Gold for February delivery fell $5.80, or 0.5%, to settle at $1,068.30 an ounce on the Comex division of the New York Mercantile Exchange. "The key ‘outside markets’ were mixed on this day, but the stronger U.S. dollar index (bearish) won out over higher crude oil prices (bullish) as the precious metals could not find much buying interest," Jim Wyckoff, a senior analyst at Kitco Metals Inc., said in a report. "Also, a lack of major, markets-moving fundamental news this week is allowing the chart-based traders to dominate, and the technicals for gold and silver remain overall bearish." Gold prices ranged from a low of $1,067.60 to a high of $1,074.90. They shed 0.6% on Tuesday after advancing 1.5% on Monday. Prices are 0.3% higher than on Friday. Silver for March delivery lost 2.7 cents, or 0.2%, to close at $14.287 an ounce. Silver prices traded between $14.20 and $14.35. The slipped less than a penny on Tuesday and surged 1.6% on Monday. The white medal is up 1.4% on the week so far. January platinum declined $4.90, or 0.6%, to $868.10 an ounce, ranging from $863.10 to $876.90. Palladium for March delivery fell $1.45, or 0.3%, to $553.20 an ounce, trading between $549.45 and $561. Gold declined $6.65, or 0.6%, to $1,068.25 an ounce. Silver added 9 cents, or 0.6%, to $14.33 an ounce. 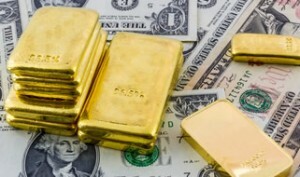 United States Mint bullion sales were unchanged. Expect only modest coin gains in the next few weeks with 2015 sellouts in the most popular American Gold Eagles and all silver coins. New 2016-dated bullion coins launch on Jan. 11.